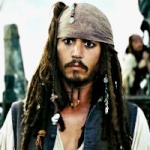 I have been gathering some of the parts for DMTNT Jack that I might as well test it out. 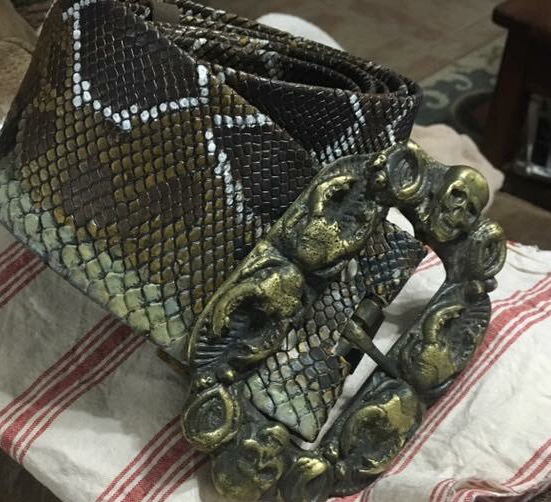 I quicklymade this temp buckle though it looks nothing like the one used in the new movie, and the snake skin I found was not as wide, I made a temp version to use this weekend What do you think? 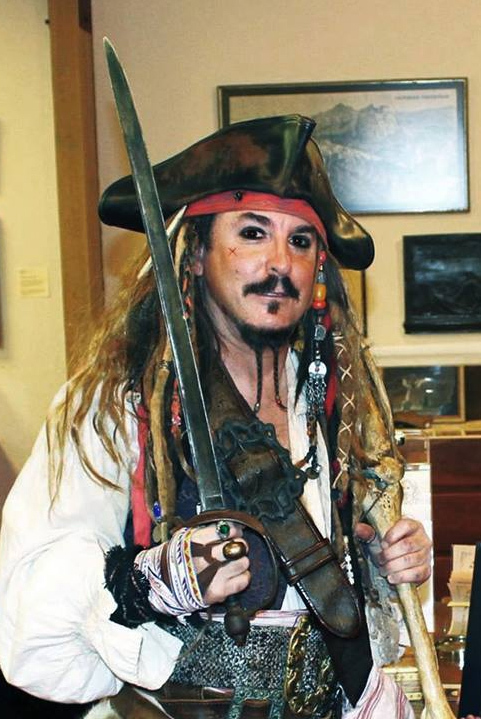 The snakeskin belt is 4" wide and long enough to go around the main mast, it's not actual snakeskin, but vinyl, I dunno what one might call it, plakeskin? Thanks...... but I have had the DMTMT costume finished since Aug 2015, and am in the process of making another longer dread wig. 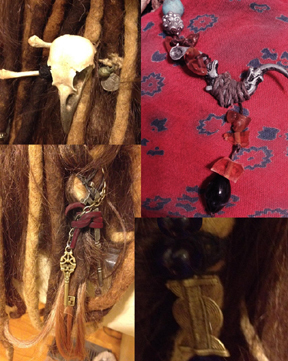 I offer all the new DMTNT wig trinkets, new piece of 8 dangle, and new palm wrap fabric, and new fertility charms in my etsy shop. I have recreated the new DMTNT palm wrap fabric, DMTNT skull ring and recreated the back of the vest fabric. 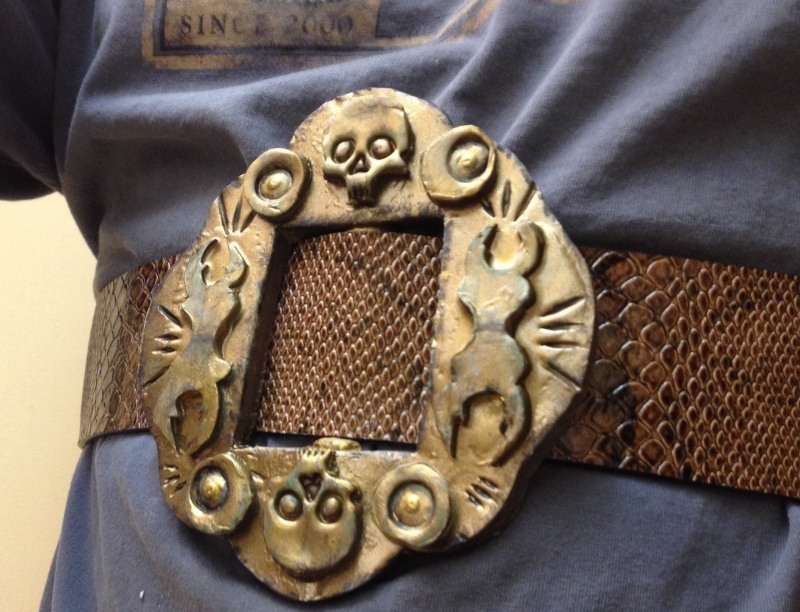 I have made and supplied 8 Sparrows with the new DMTNT belt too. 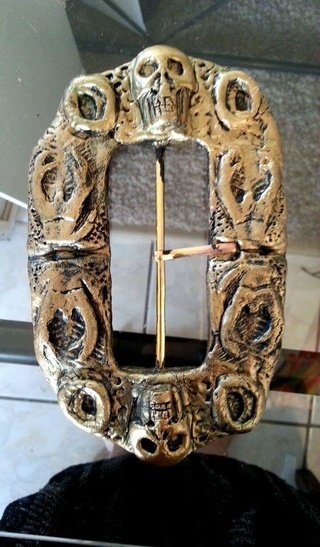 Buckle is solid brass, snakeskin is handpainted one scale at a time too! I was able to get fairly accurate measurements of the newest belt and it's only 88mm wide and long enough to go around the body almost 2 full times. 4 inches is too tall. The new DMTMT vest is also much longer in the front and back then the OST vest was. Very nice! Yes, apparently the new vest (waistcoat) is almost 4" longer. Wow hand painting each scale! 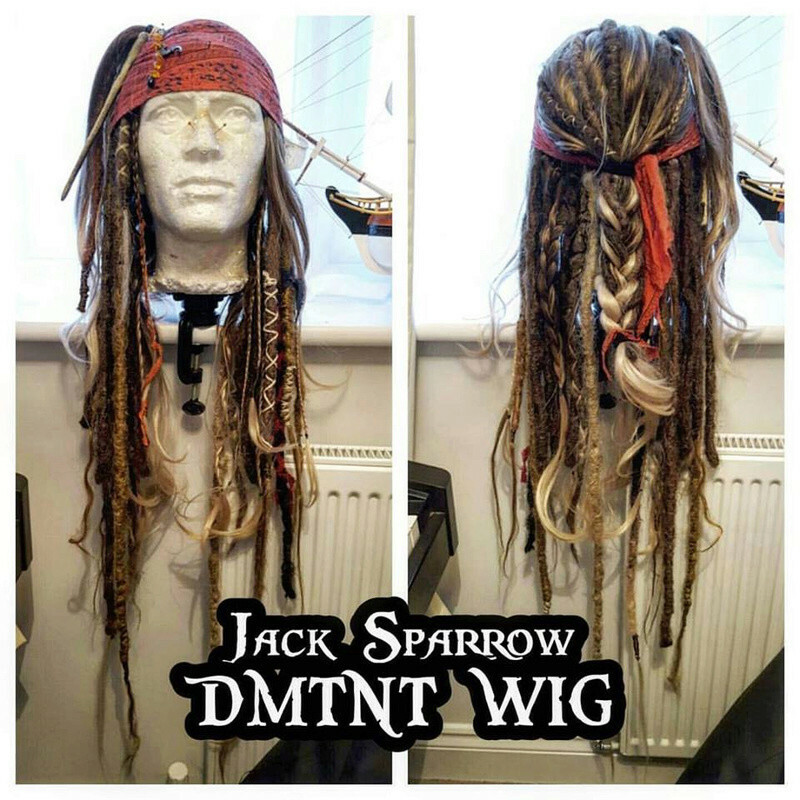 My new DMTNT wig, just need to move all my trinkets over from my old wig and it's finished! Is that one of Marcus'?? I too have one of his 'efforts'! Awesome stuff as always. He posted about it awhile back on Facebook. I got to see pictures of the display, it had several items to represent several recent Disney Movies. Paul made a hat for the Display and Lee made one of his killer compasses for it too! Who is the one they call Marcus? 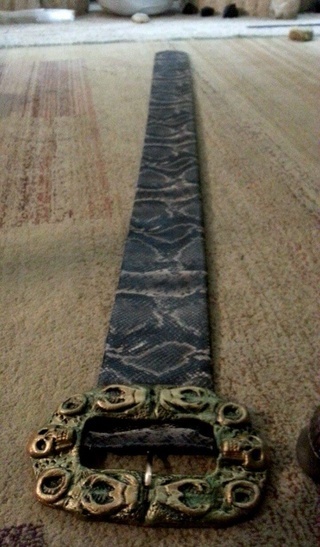 I just make stick with my OST Yordreem wig but I am kinda feeling the snake belt! Agreed. 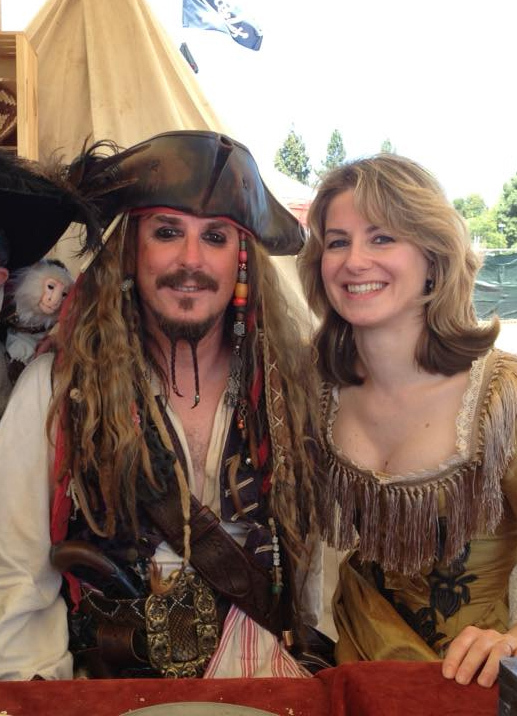 His Barbosa is awesome though! I don't think I know this bloke.... have I threatened him before?